Dr. James Allen is a Senior Advisor for Public Policy and Corporate Responsibility at Chevron. 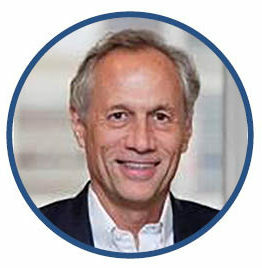 In his role, Dr. Allen leads global strategy on health-related corporate responsibility, affecting over 40 countries where the Fortune 500 employer operates; develops approaches for innovative financing, including social impact investing and diaspora finance; and helps design partnership strategies. Prior, he was a medical director with Chevron in Asia Pacific. He supervised a full range of occupational health services in the company’s growth region for 22,000 employees plus dependents and contractors (service population > 75,000); oversaw a 320-member Health & Medical group, operating 46 clinics and one hospital in 16 countries; and provided medical emergency response, primary care, wellness and psychological services, and Corporate Social Responsibility initiatives. Dr. Allen is certified by the American Board of Internal Medicine.He earned his medical degree at the Kirksville College of Osteopathic Medicine and completed post-graduate studies in toxicology at Cornell, tropical medicine at New York Medical, and public health at the Medical College of Wisconsin.